Jennifer Horn was interviewed for the Farrier Focus Podcast. It’s a very informative and interesting interview. 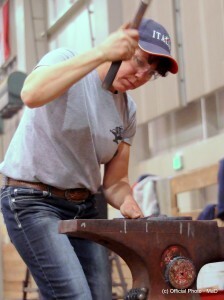 Jennifer answers questions about her career as both a Farrier and Blacksmith. This is only an audio podcast, there is no video. It’s enjoyable, take time to listen!